Like many, I was all decked out in floppy bunny ears provided by the Eveready company. The bunny ears are a Susan G. Komen “Race For The Cure” tradition. 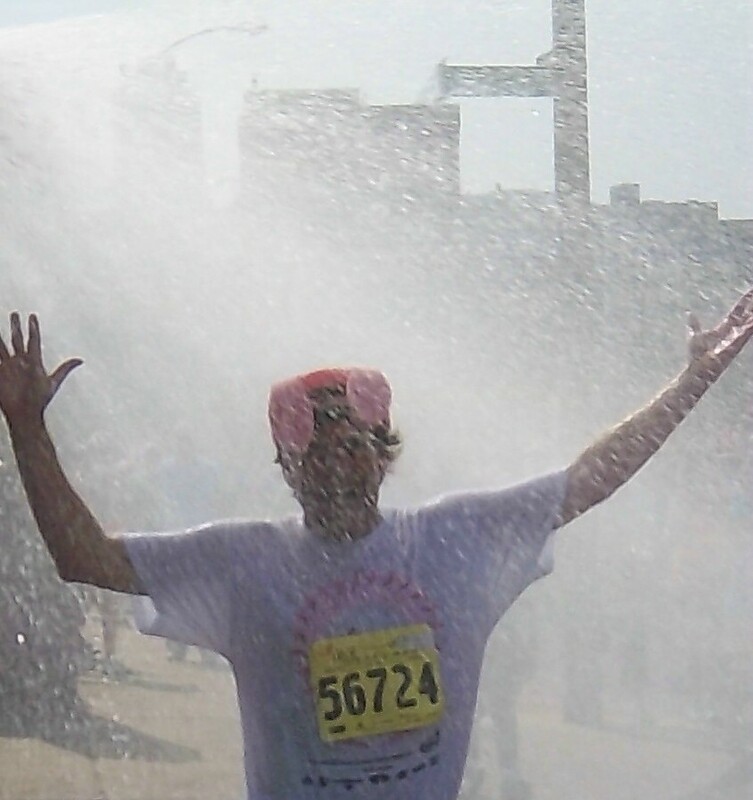 I struggled at the starting line of this charity running event, as I thought about my late cousin. On a human scale, it seemed so unfair: Here I was enjoying the day in St. Louis, but Nancy was no longer with us. She was the kind of person who would do anything to help anybody. Ask me how I know. Nancy met the love of her life in her 40s. They married. His children became their children, and they became a loving family. However, Nancy was claimed by breast cancer a few short years later. 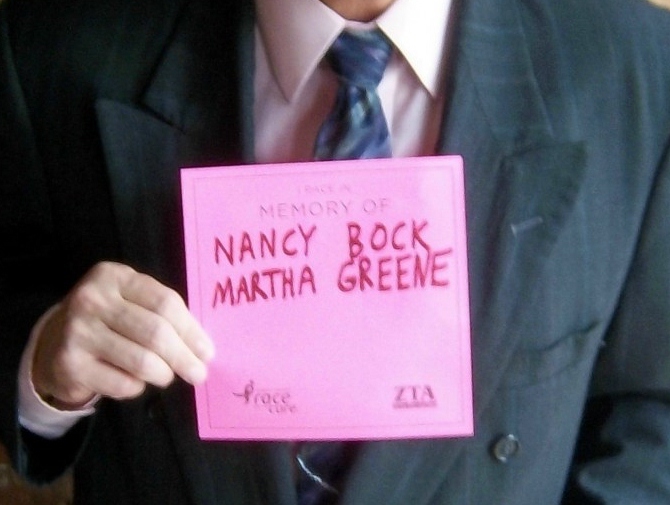 [I ran on Saturday in memory of my paternal cousin Nancy Bock of Springfield, previously of Shumway, IL, and my maternal grandmother Martha Greene of Clifton, previously of Chicago, IL]. « It Happened On A Day (Night) Like This . . .